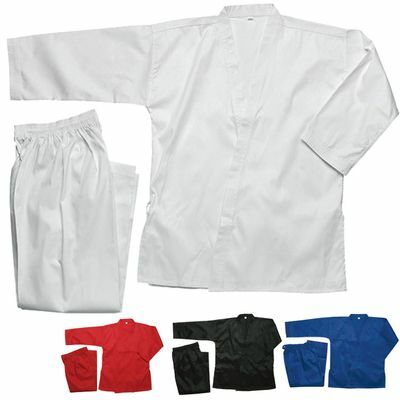 This popular student uniform is made of 7oz. poly cotton fabric with elastic pants. 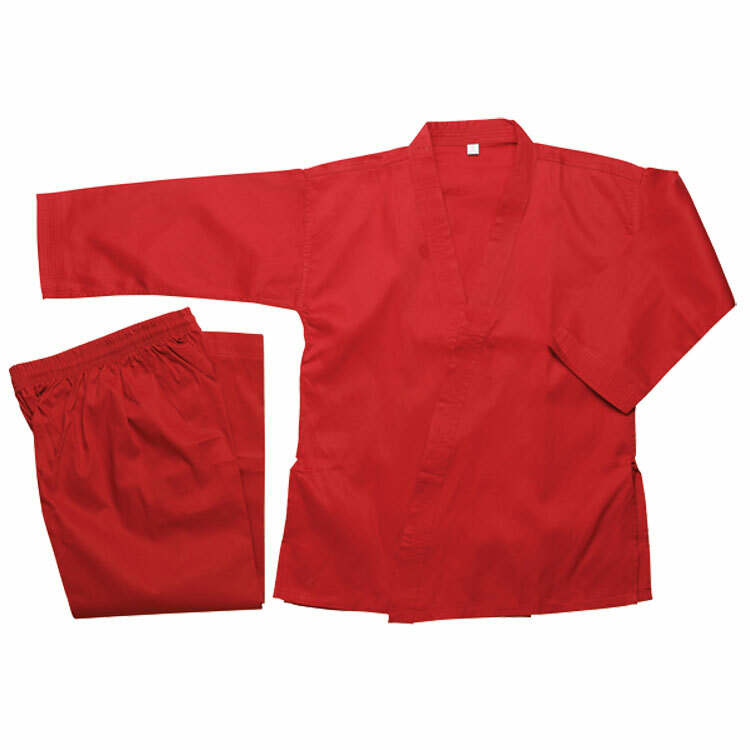 Stitched 6 times in the cuffs and hems to maintain strength and durability. * available in white, black, red and blue. 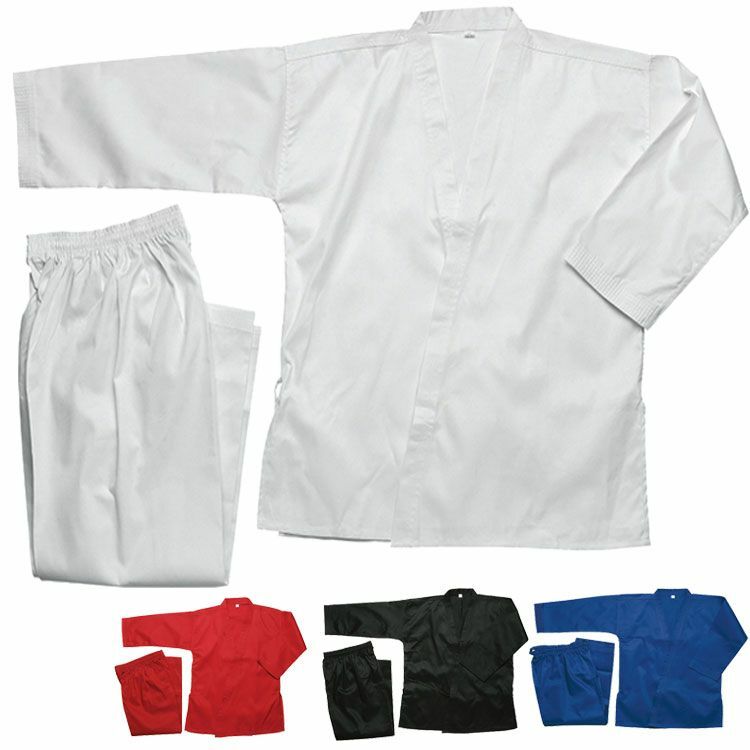 This student Uniform weighs 7 ounces making this uniform super lightweight and a very popular uniform among beginner martial artists. 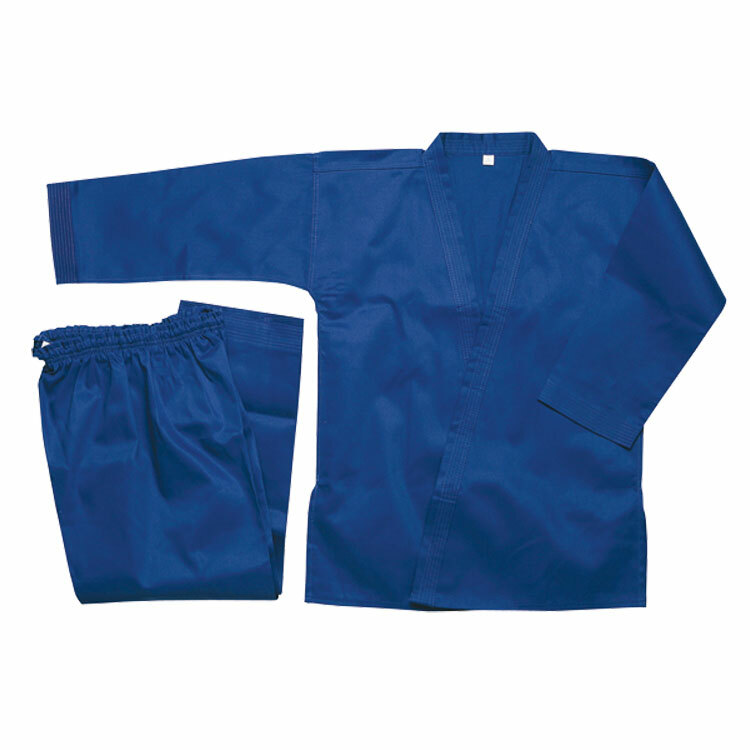 The gi's light weight does not restrict motion or mobility. The pants feature an elastic waistband for a comfortable and secure fit. 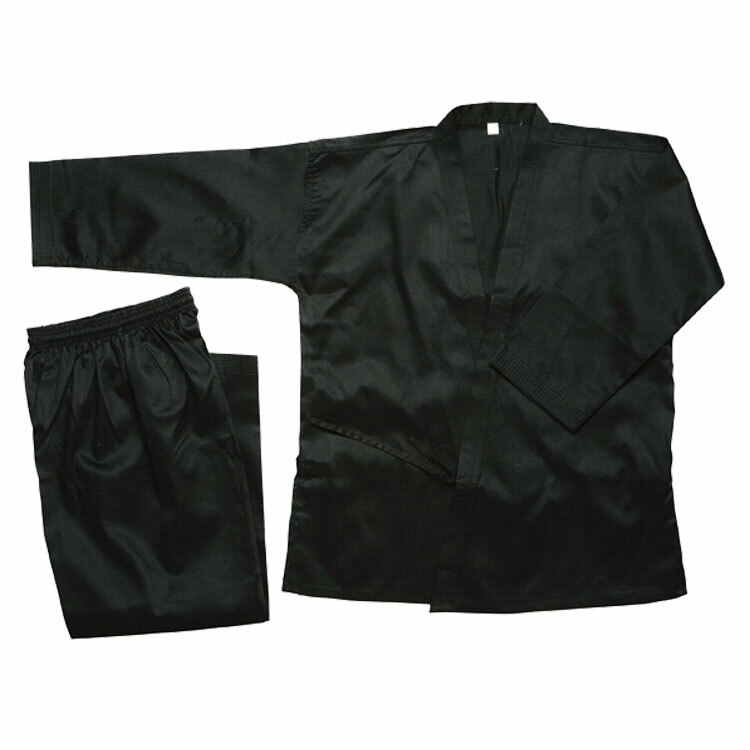 Stitched 6 times in the cuffs and hems, this uniform is durable enough for intenese training and competition. 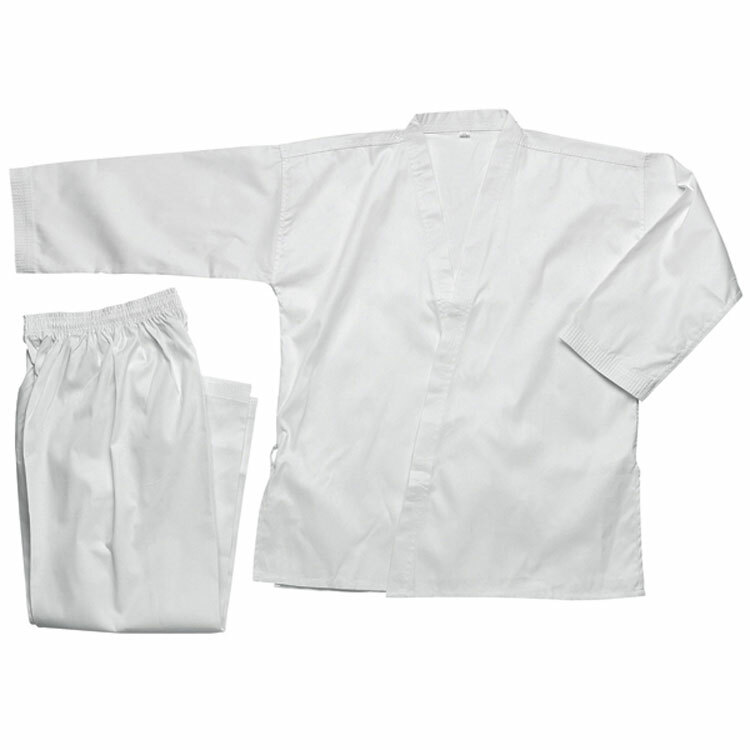 The gi's polycotton fabric makes it washer machine friendly for easy care.